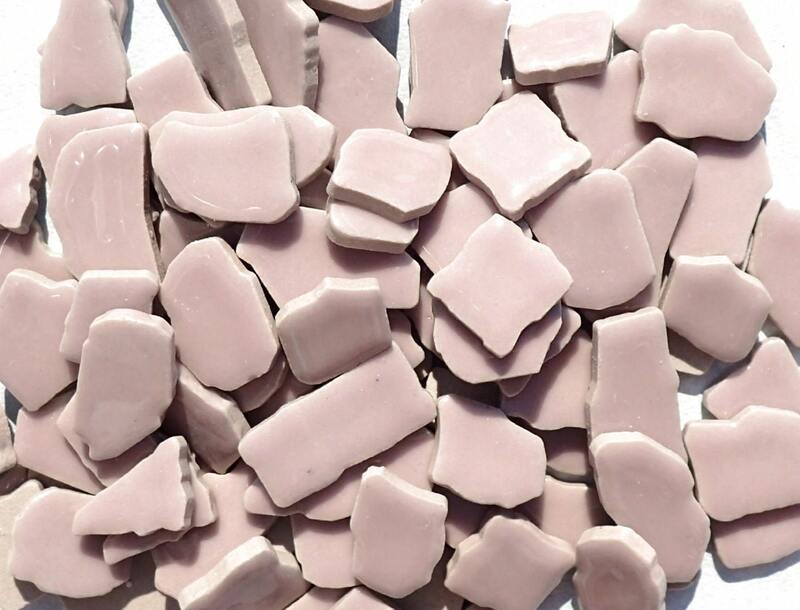 These tiles are a very pale purple, in a light shade of lilac. 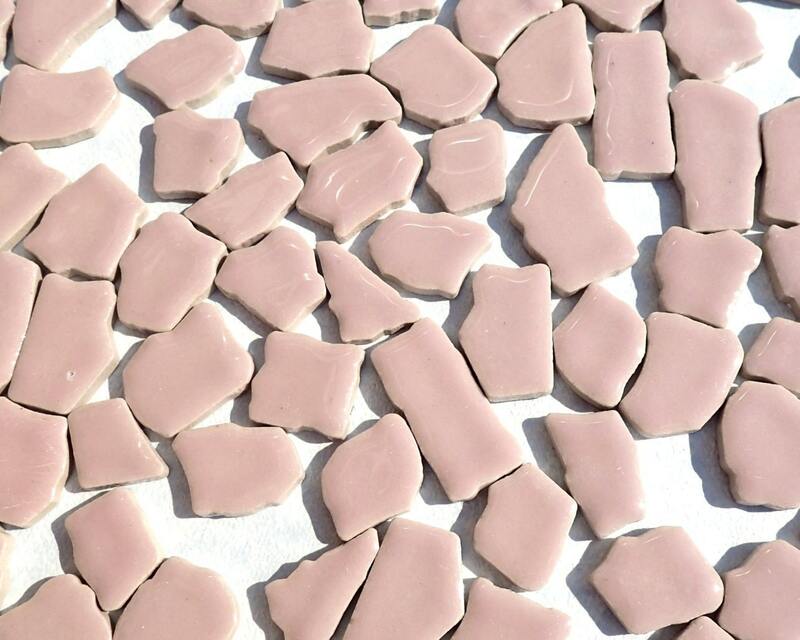 This an assortment of randomly shaped mosaic tiles. They are fun with unusual curves and edges. Get that great shape with no nipping! Something for every project! 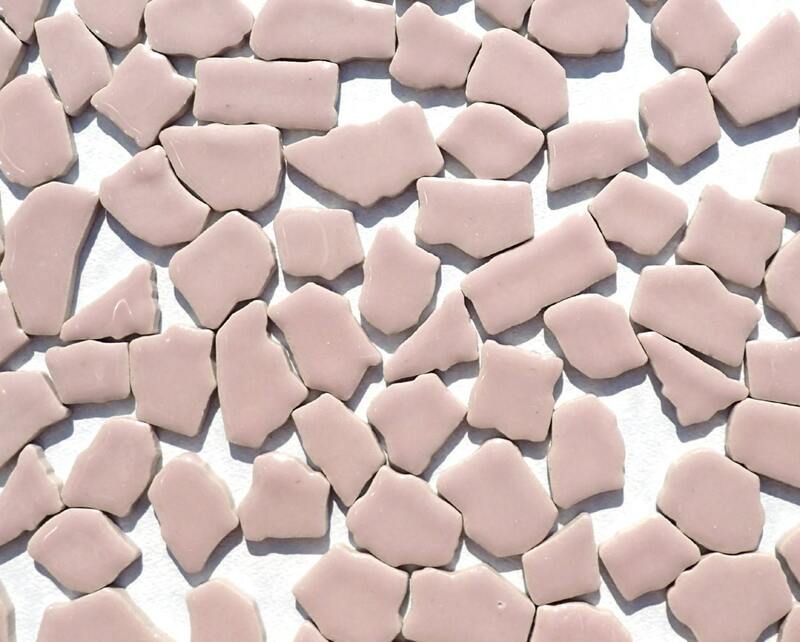 This is a half pound of ceramic tiles. 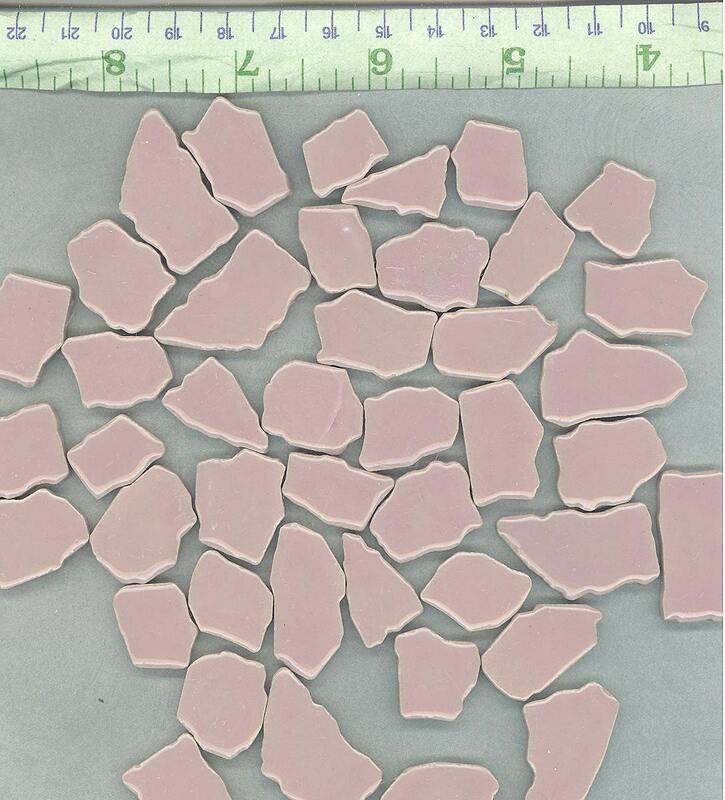 Since the sizes of the pieces differ, so will the number of tiles. 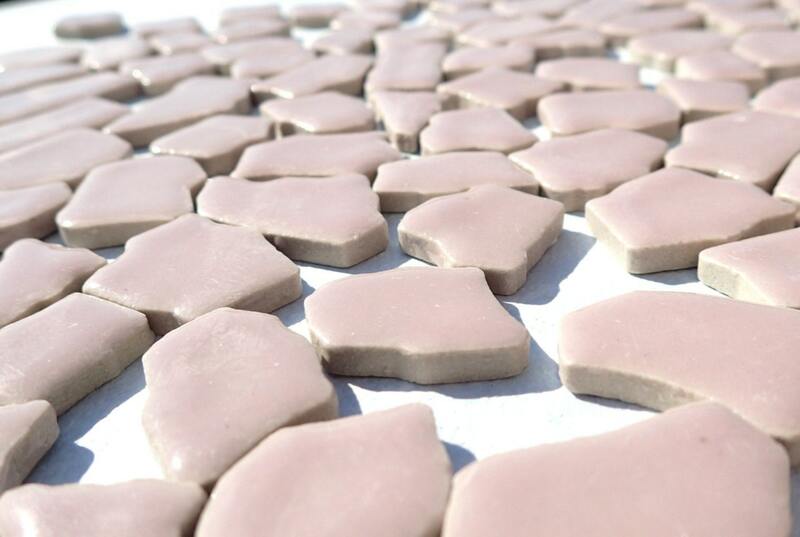 But a half pound of tiles is approximately 90-100 tiles. Your response was so quick. I could receive the products smoothly. Thank you!